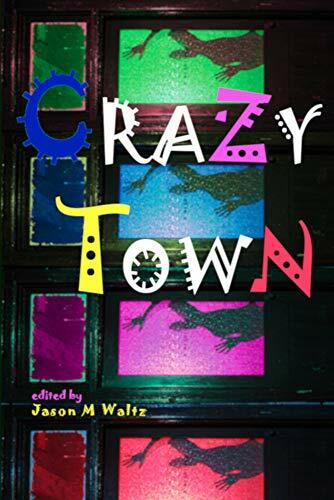 There are no limits inside CRAZY TOWN. Here you can bet or buy the farm in the same breath. Ain't nobody believin' anyone here's playing with a full deck. If you stop in for a visit, you'll find 13 daring folks who step into the dark, then poke the dirtiest corner of it; 13 inquisitive minds who dig into the slime, then stir up whatever twitches; 13 cynical souls who may not be able to save themselves but just might redeem something outta their miserable lives. 13 authors deliver explosive, haunted action high on adrenaline. These are definitely not Mayberry's streets. Pray they aren't yours. You've been warned. Intrigued? Read a free preview right here.